When I write about the negative impact of statist policy, I focus on two types of nations. From the developed world, I highlight countries such as France, Greece, and Italy. And from the developing world, my favorite examples are places like Venezuela, Cuba, and North Korea. "It’s especially compelling when reality makes your economic and and political points vividly clear and intellectually inescapable. Nothing like a natural experiment to drive a message home. "…At unification, West German living standards were more than twice those in the communist East… Venezuela shows what happens when full authoritarian populism gets put into action. And who hasn’t seen the stark image of the two Koreas at night, the prosperity of the South glowing brightly. Then there’s the case of Zimbabwe, which just saw a coup removing dictator Robert Mugabe after nearly four decades in power." 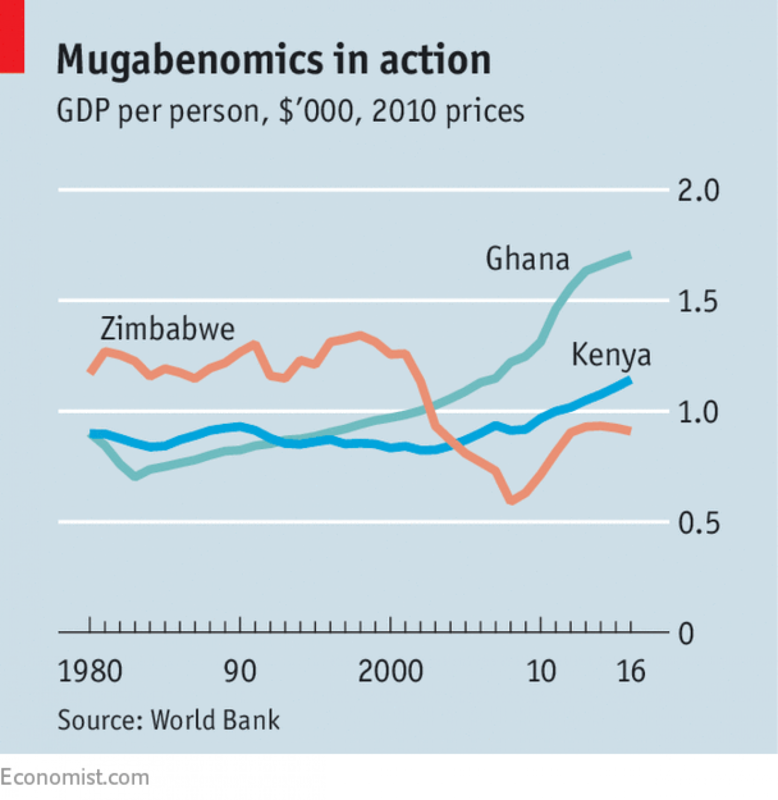 Here’s the chart showing how Zimbabwe has fallen behind some peer nations. Why has Zimbabwe gone downhill? The answer, you won’t be surprised to learn, is bad policy. They’ve taken the recipe for good policy and done the opposite. 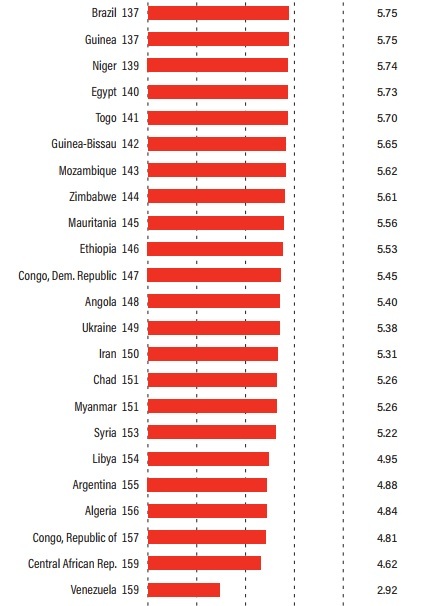 In 1995, Zimbabwe was ranked #70 by Economic Freedom of the World. Not great, but not awful. Now. as you can see from the chart, it’s down to #144. Some of that is due to more nations being added to the rankings and many nations improving their scores, but Mugabe’s statism deserves much of the blame. Assuming Mugabe is deposed and doesn't come back, that’s Step 1. If the goal is prosperity and opportunity for the people of Zimbabwe, Step 2 is needed. And that’s an agenda of liberalization. At the very least, Zimbabwe should copy the neighboring nation of Botswana. Ideally, it could go farther and become the Chile or Estonia of Africa. zimbabwe and British economy: Zimbabwe or Greece?